GEORGETOWN, Guyana – Government says it will be cracking down on the number of work permits issued to foreigners for jobs that Guyanese can do. Minister of Citizenship and Immigration Winston Felix made that clear yesterday, as he disclosed that Brazilians were being brought into the country in the hundreds to take up positions. Making his contribution to the Budget debate in the National Assembly yesterday, Felix said that of the 304 permits issued so far this year, 236 have gone to Brazilians. 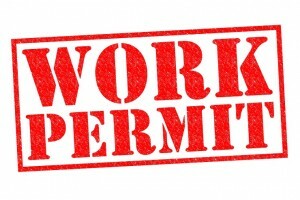 In 2014, Brazilians got 694 of the 744 permits issued; in 2013, Brazilians got 462 work permits; and in 2012, 1,050 work permits were granted, of which 991 were for Brazilians. He said while the David Granger administration intended to accommodate foreign investment, it would not do so at the expense of Guyanese. “We don’t want a lopsided situation where our own people do not have access to our lands to do what other people are doing,” the minister insisted. Felix charged that the previous administration had no regard for Guyanese labour and had brought in foreigners even when Guyanese workers were available. “They built a Marriott with labour from abroad,” he said, referring to the Guyana Marriott Hotel which opened in April this year. Felix pledged that the new Ministry of Citizenship would ensure the interests of Guyanese are preserved and Guyanese have an equal playing field in terms of access to works and lands.